I'm satisfied for the time being. There is plenty of challenges and level ups ahead of me. Going into this..they already stated early 2019.. it's in beta for awhile longer.. 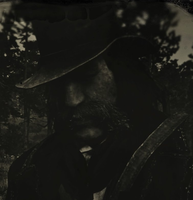 This update was a f*cking insult to all the fans of RDO. Imagine thousands of fans desperately waiting for new content, almost dying for a new update like children waiting for Christmas. Imagine these people logging onto their computers the 25th of January to see that their hopes and prayer has been answered. R* has released a new update on their new page. OMFG! All these fans get super hyped, they can't wait to see what magic R* has finally cooked up and can't wait to get online to check out the new fixes and stuff. Imagine the huge and sheer f*cking dissapointment of all these fans, when they click on that "Update" to see what it acctually is, imagine, the huge f*cking dissapointment of all those people when they read that the so called "update" R* threw up on their newsfeed - is nothing more then a tiny mini little hotfix for a broken showdown next to no one enjoys. Oh and as a bandaid that they didn't acctually have a real update, no real content or fixes people wanted, you all get 10 gold bars. With all due respect promoters, developer or who ever it is that decided that this was a smart idea, you f*cked up. What a terrible f*cking move, jesus christ. Oh and let's not forget the small hint that we wont get any acctual content for fixes for a few month. "Our teams are currently working on lots of fixes, changes and improvements to the game based on player feedback including the quality of life improvements that we detailed in our last status update: Proximity-Based Player Blips, Parley Changes with quicker access to Feuding, Law and Bounty Improvements to discourage griefing while introducing a new Freeroam dynamic between bounty hunters and criminal rogues, plus Daily Challengeswith gold nugget rewards and more"
But you wont get any real updates with new contetnt for atleast a few more month. We get it @Dazzzaa... ya thread earlier was sufficient. Why are you quoting yourself tho ? So, it's going to take them months to add an update that will only fix some issues with gun rush, and a couple of other small things like parley changes and player blips. How long before anything of actual substance? Editor mode? Creator Mode? More maps and choice to what game mode to play? Free Aim? Things that actually matter and will keep the game alive, not some stupid tweaks to gun rush, a mode nobody cares about because it is ruined by auto aim. I can't believe they're just going to let it die, and pretend that their proposed changes are going to actually change anything. Absolutely clueless. I'll start with the only good thing I can say about this. "Law and Bounty Improvements to discourage griefing while introducing a new Freeroam dynamic between bounty hunters and criminal rogues"
The latter part of that makes it sound like bounty hunting for actual players might not be off the table. Which is a good thing, in my opinion. Unless they think spamming OP AI at people counts as a new dynamic between bounty hunters and criminals. Other than that ... Terrible. Absolute disaster. A mess. No one cars about gun rush. What about the horrible spawns, the lack of content, no invite only? I've seen far, far more complaints about all of that than gunrush. The coming months? Why not just sh*t in our mouths while they're at it? What they're describing in the newswire isn't months worth of content. It should've been here yesterday. They get that stuff here ASAP, and get working on more unannounced stuff for "the coming months" - maybe then they're in with a shot at reviving this. I did notice two things today. A griefer killed my horse, and whistling gave me the other stabled and saddled horse I owned. And I haven't seen gang hideouts since Tuesday or Wednesday. Yea I mean this newswire is kind of a joke, but it‘s kinda obvious they‘re just not talking about the bug fixes happening in the background. I‘ve not had a single disconnect server error this whole week. (A friend had them 3 times yesterday tho). It feels like the despawning of animals also got better, but maybe I just adapted to it. Horse bonding bug also is way better than it was. This is how it‘s supposed to work. What‘s bugged do is the payment to revive your horse. When I (accidently) kill a players horse I have to pay the 4$. My router is one I got from my ISP and has their default settings and my ps4 is wired with the router. I have no problem playing Fortnite, Fifa, Friday the 13th or GTA Online﻿. Hmm, did i read that right? They tweaked and updated Gun Rush, mode no one cares about. Mmmkkaaaay. I'm out till they add 45 more battle royalish modes. People all acting like they didn't see this coming lol. RDO has been a huge disappointment, I find myself playing other games now. I can't speak for everyone, but I have a feeling that most of us who've spent the last few years over in the GTAO section saw this coming a mile off. But, seeing it coming doesn't make R*s ineptitude any less disappointing. It is very disappointing yes. I just find all the complaining funny. But yeah, 2 things that are certain; Rockstar is slow and people love complaining. But﻿ yeah, 2 things that are certain; Rockstar is slow and people love complaining. Got to admit, I do love a good b*tch and moan. I'm hoping R* make it more difficult for me in future though 🙂. I just tried to play. Only 2 players, large showdowns had +20. They need to let people know increased payouts for winning is a thing. I would say winning a full lobby needs to be more like $100, to encourage players to wait. A whopping 5 Gold bars. Now I can finally get that shiny gold trigger for my rifle. It's sad that they've totally given up on Story Mode too. So many bugs to fix with that. About the “update” though, I was playing all day today and didn’t notice a single change. Mind you, I think all pvp modes are currently a steaming pile of horsesh*t and am far too old to be interested in fortnite-lite. I’ll just stick to stranger and story missions while banking the bribes...I mean gold, that R* keep throwing out to keep the ADD generation interested. I’ve gotta ask though, what is it with all these level fives thinking they can take on a full posse of 80+ players. 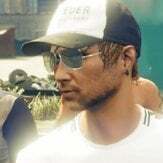 I get the impression when the notification pops up “a rival posse has started a mission” that they feel attacking is compulsory or that they are going up against the AI. I’m starting to feel bad about killing them. ( not really but it does get dull after a while). tl;dr If I hadn’t checked the forum I wouldn’t have known an “update” dropped. guys, it's the benzless factor....it has kicked in! I've gotta﻿﻿﻿﻿﻿﻿ ask though, what is it with all these level fives thinking they can take on a full posse of 80+ ﻿players. F*ck knows. I jumped on for an hour earlier and a level 8 made it their mission to stop me getting to the butcher in Strawberry. I'm only level 48, but do they know nothing about the ability card system? I'm not even good at PvP and they had no hope. disappointing that i had to break my immersion from the RE2 remake for this over the pants h-job R* considers an update.. Such a slap to the face.